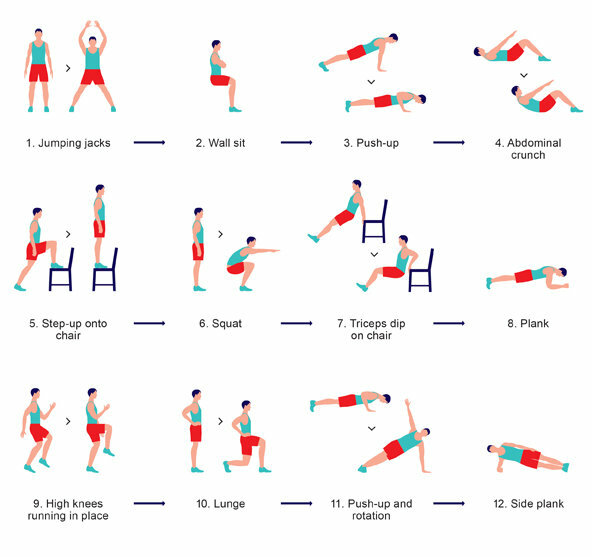 You can totally do this 7-minute workout (from the New York Times) in the middle of your writing day. Walking: If you read the great book Daily Rituals, you’ll see that many, many creative people have worked walks into their routines throughout the ages. You’ll almost always come back from a walk inspired, either because you solved a specific writing problem — everyone knows that doing something other than writing is often just the thing for solving problems — or because you saw something interesting on your walk. Yoga: Many writers I know do yoga. Myself included. It helps calm down the kind of overactive mind writers tend to have; it also has meditative qualities that can help when writing. I’ve written before about how meditation can help your writing as well. Playing music: Yes, I’m including this in “exercise,” because it has similar benefits — some musical instruments, like the drums, really are quite physically demanding, and all music engages different parts of your brain that can help your writing. Here’s a great piece about how playing the drums can help writers. Listening to music while doing a real workout can help, too; it implants rhythms into your head and allows you to listen to lyrics. Running, strength, etc. : Really any kind of workout can wake your brain up, either in the morning as a signal that it’s time to work, or in the afternoon when you’re slumping. I tend to do a lot of walking. when the weather permits. I also do not sit the entire time I write. I am up and down looking for research source books, or whatever I might need. Walking is the best! And I, too, do the old ‘search for book on various shelves’ exercise often.